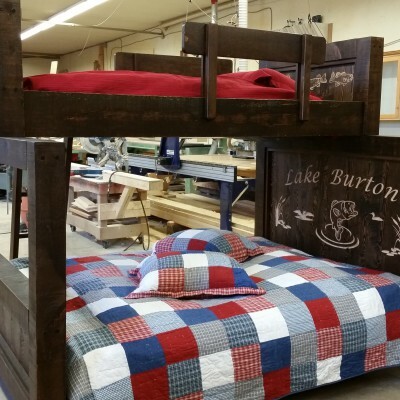 Custom Built Beds We work with you! If you have a specific idea about a project we will be happy to discuss and create it to suit your needs. Custom furniture is ideal for any style of living space. We build log furniture, reclaimed wood furniture and live edge furniture. 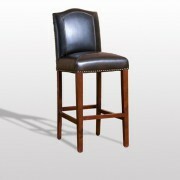 We can customize any size of furniture. Please visit our showroom to see our latest pieces and discuss how we can build a bedroom set to match your style perfectly. Custom Built Tables Our custom made furniture adds beauty and elegance to any home. We take pride in crafting fine wood furniture of a variety of woods. For many years we have handcrafted products that are custom sized, and custom stained so every customer will get exactly what they need and want. We build a product range from the most basic to the most stylish. Choose one of our tables to add a lifetime of beauty and functionality to your home. 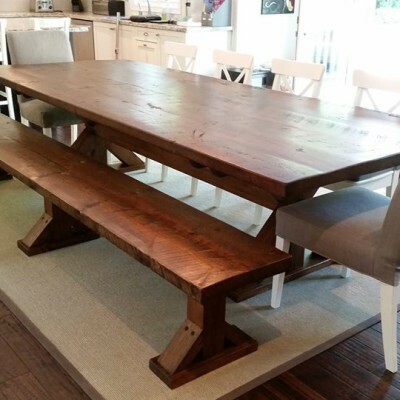 Whether you choose a live edge dining table, a games table, a coffee table made from old barn board with an industrial flare, or simply an end table for that extra spot in your home, you’ll be assured of the quality many have come to expect from every piece of wood furniture we make. Come in or call us today for a quote. 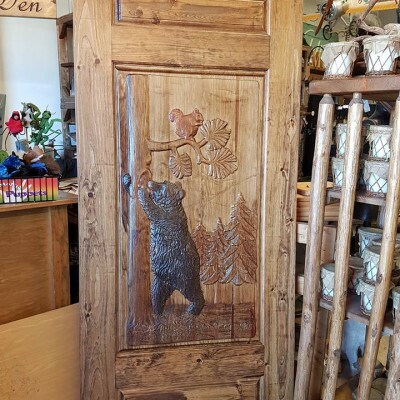 Custom Carved Doors Solid Pine Custom Carved Doors We can design a door to have a two sided or a single side carving. We can add glass windows with a design in the centre or have just one large design on the face of this beautifully carved pine door. There are so many possibilities. We will work with you to design a true work of art to be displayed in your home. Please call us today for a quote. 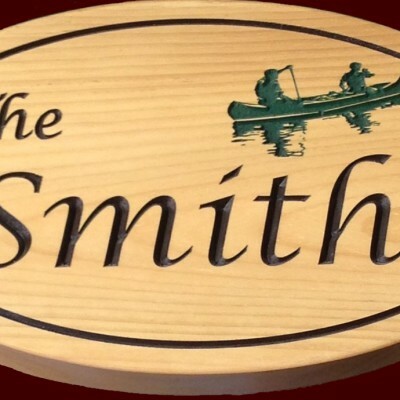 Custom Carved Sign Large Pine Customized carved sign made from solid Pine. $200.00 We will work with you to achieve that perfect design. Once we have the design we send you a 3D computer rendering before we start making the sign. Good for Indoor or Outdoor use. 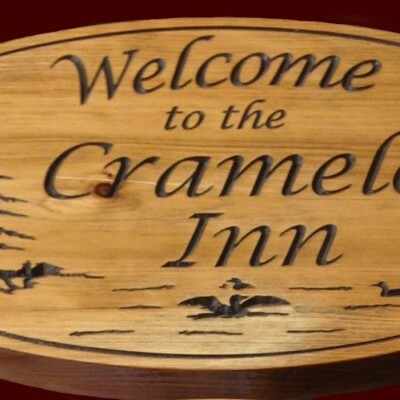 Custom Carved Sign Large High Density Foam Custom Carved Sign made from High Density Foam. $150.00/ square foot Again we will work with you to achieve that perfect design. Once we have the design we send you a 3D computer rendering before we start making the sign. 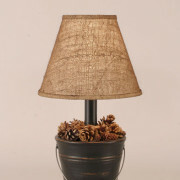 These are great for indoor and outdoor use as these will hold up very well in our sometimes harsh climate. 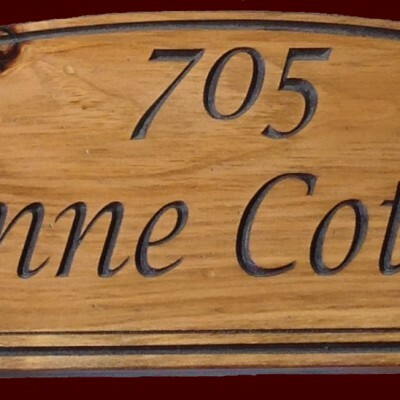 Custom Carved Sign Medium Pine Customized carved sign made from solid Pine. $150.00 We will work with you to achieve that perfect design. Once we have the design we send you a 3D computer rendering before we start making the sign. Good for Indoor or Outdoor use. Custom Carved Sign Medium High Density Foam Custom Carved Sign made from High Density Foam. $150.00/ square foot Again we will work with you to achieve that perfect design. Once we have the design we send you a 3D computer rendering before we start making the sign. 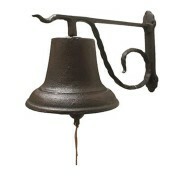 These are great for indoor and outdoor use as these will hold up very well in our sometimes harsh climate. Good for Indoor or Outdoor use. 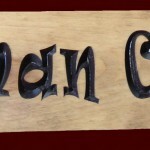 Custom Carved Sign S Customized carved sign made from solid Pine. We will work with you to achieve that perfect design. Once we have the design we send you a 3D computer rendering before we start making the sign. Good for Indoor or Outdoor use. Custom Carved Sign xs Customized carved sign made from solid Pine. We will work with you to achieve that perfect design. Once we have the design we send you a 3D computer rendering before we start making the sign. Good for Indoor or Outdoor use. 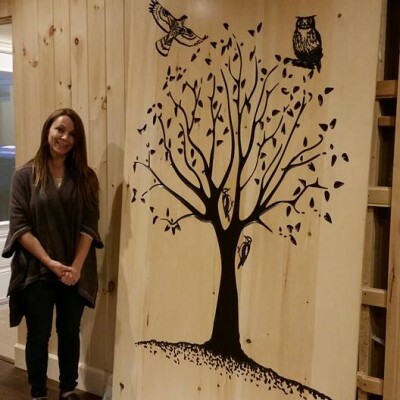 Custom Murals We can custom any shape size or design for our murals. Please call into the store for details and pricing. 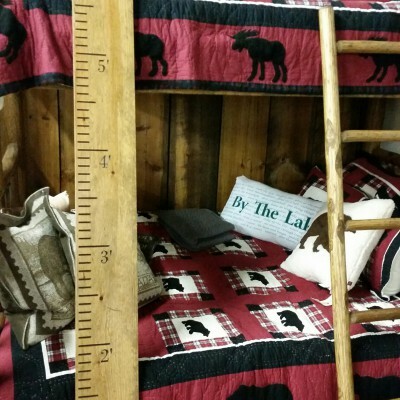 7 Foot natural pine Growth Chart Ruler. Customize this ruler with a Name, Birth Date, Weight or even multiple names to bring home this personalized keepsake. This would make a great Baby Shower, Birthday or Christmas gift, or just an everyday addition to your home. 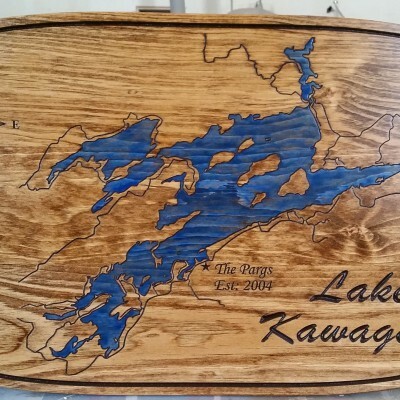 Lake Map Signs Custom Lake Map Signs. We can carve out any map as long as it is on google or if there is a drawing of it on line. With a 911 address we can even do a small point of interest saying where you are on the map. Man Cave/Diva Den Sign - Relief Carving This sign is made from solid pine and is our famous Man Cave or Diva Den Signs. These are completely customizable. 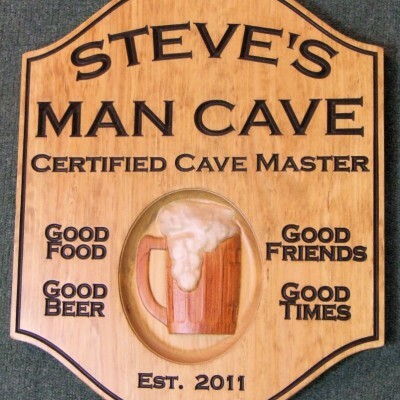 We can change the wording or just the date when the "Cave" was established. This can be the date you bought your home or the day you got married or any day that is particularly special to you. 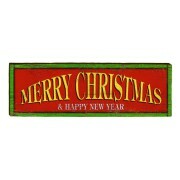 Made to order, our signs will be ready within 10 days from the time the proof is approved. 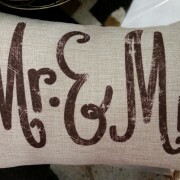 This product makes a great gift! Good for indoor and outdoor use.